Democrats "either unwittingly or intentionally provided a great service to Republican incumbent Legislators" by calling for a special session on the controversial self defense law, the NRA's Marion Hammer said in a release. 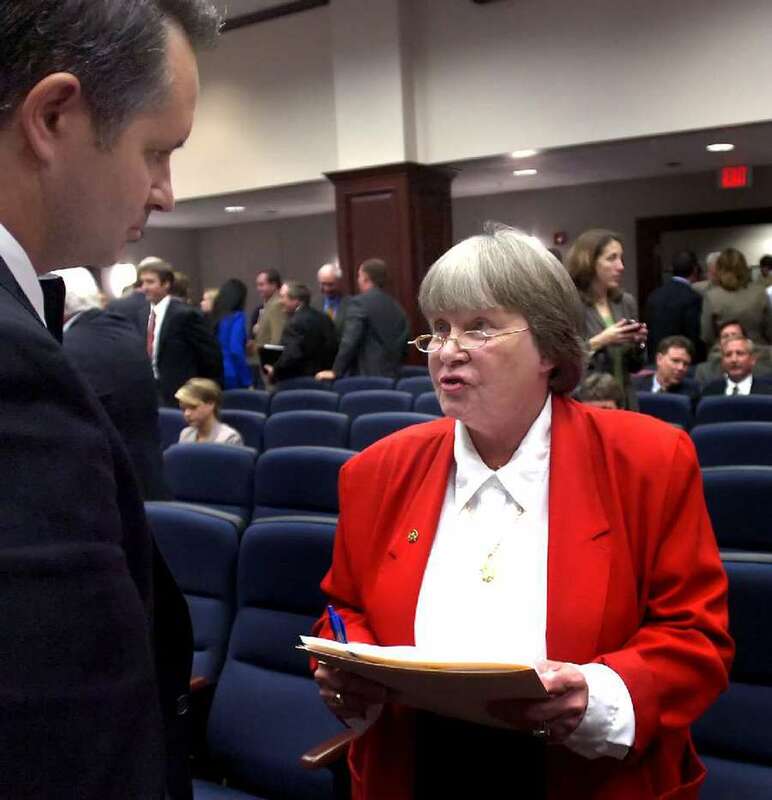 File photo Marion Hammer, the NRA's Florida lobbyist. Democrats did Republicans a "great service" by calling for a special legislative session on stand your ground. That's according to National Rifle Association lobbyist Marion Hammer, who sent out a press release Saturday saying that lawmakers who voted against the session will see their grades boosted by the national gun rights group. "As voters are heading to the polls in the Primary, they can be confident in the knowledge that they know exactly where their elected officials stand on the important constitutional right of self-defense," Hammer wrote in the release. The August 10 call for a special session on stand your ground, which the NRA has long supported, would have required the approval of three-fifths of the Floria House and Florida Senate. The measure, which came in the wake of the killing of Markeis McGlockton, was resoundingly defeated along mostly partisan lines 58 to 33 in the Florida House and 19 to 15 in the Florida Senate. Although no special session was called, Hammer said the vote gave legislators a chance to improve their standing with the NRA. In particular, Hammer wrote, legislators who saw their grades drop after voting for the Marjory Stoneman Douglas High School Public Safety Act — which included modest gun restrictions — could achieve a marginally better score if they voted against the stand your ground special session. "Republican incumbents who previously had NRA ratings of A or A+ and voted in favor of SB-7026, the so-called 'school safety' bill that contained gun control provisions, had their ratings dropped to a 'C,' Hammer wrote. "Incumbents who voted against calling a Special Session are eligible for a grade increase up to a 'B-.'" One incumbent who fits that bill is Sen. Dana Young, R-Tampa, who's facing Democratic state House Minority Leader Janet Cruz in the race for Florida's key 18th Senate District seat. Young's grade will be upgraded before the November 6, 2018 general election, according to Hammer's release.